The Capmix project was carried out from October 2010 to October 2014. At this website you can find project details and past events. From September 10th to September 12th 2014 was held the Second International Conference on Salinity Gradient Energy in Leeuwarden, The Netherlands. Osmosis (PRO), Reverse Electro Dialysis (RED) and Capacitive Mixing (Capmix). Moreover, innovative approaches were presented such as the combination of a microbial fuel cell with a RED stack or the mixing entropy battery. A total of 4 plenary lectures and 15 scientific presentations were given. Doriano Brogioli from the University of Milano Biccoca presented Capmix during an event presented on the italian TV. We are pleased to announce a recent development in our research with this spinoff technology allowing extraction of energy from CO2 emissions. And you can read a few press release on the topic here, here and here. If you want to know more about the project in very simple terms, please check this new video. 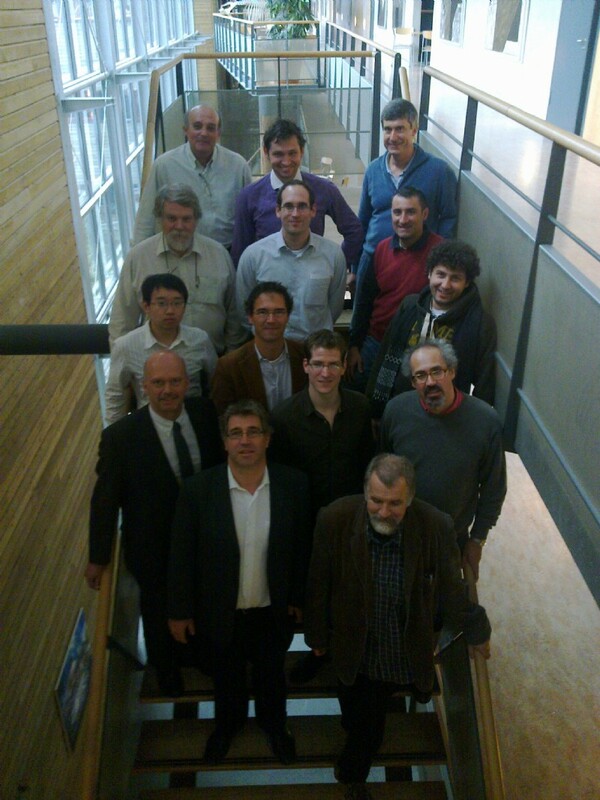 The Capmix consortium just passed its 30th month of existence. At this point, the project succesfully reached all of its objectives and is currently developping the prototype that will be tested under real-world conditions. An up-scaled pre-prototype, 20 times bigger than the lab-scale units is already running succesfully in artificial conditions with performances comparable to thelab-scale units. This first confrontation of the technology with the world is critical as it will determine its future successes. More to come in a few months. International Workshop on salinity gradient energy - Milan 2012: GREAT SUCCESS ! The International Workshop on salinity gradient energy organized in Milan Septemebr 4th-6th. Was a great success with over 54 participants. The Salinity gradient community is growing and we hope to gather even more people for the salinity gradient conference that will be organized in september 2014 in Leeuwarden (The Netherlands). More on this later. The Capmix consortium is pleased to announce that September 4th-6th 2012 an international Workshop on salinity gradient will be held in Milan. This Worshop is organized by the group of Prof. Francesco Mantegazza from the university of Milano-Bicocca and will gather specialists in the field of salinity gradient energy. Capacitive mixing as a novel principle for generation of clean renewable energy from salinity differences. Capmix is a collaborative research project in the field of Future Emerging Technologies for Energy Applications. This project has received funding from the European Union’s Seventh Programme for research, technological development and demonstration under grant agreement No 256868.